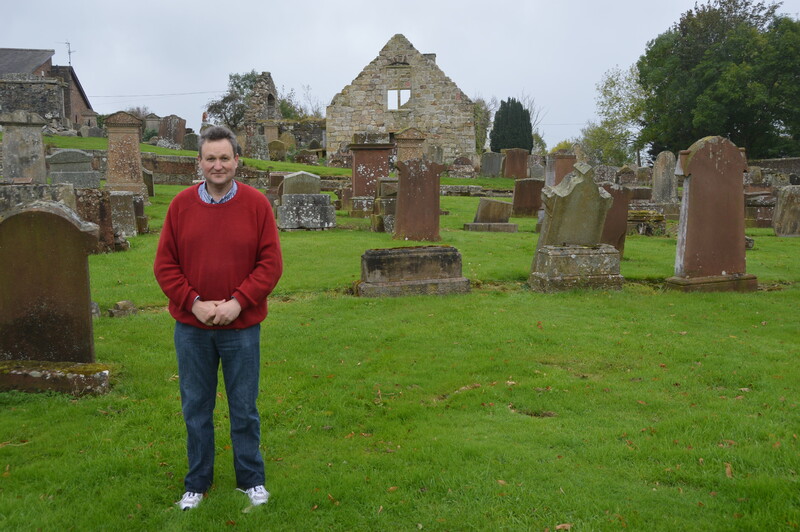 Howard Gibson from Victoria, Australia a descendant of Andrew Gibson ( surgeon in New Cumnock ) recently visited the Auld Kirkyard at New Cumnock and I had the pleasure of joining him in seeking out some of his ancestors family lairs. Howard also visited Burns Monument Centre (BMC) , Kilmarnock to continue his family research where he unearthed a connection with a family of the name Lapraik. This name of course rang bells with the staff at BMC, and a possible connection with John Lapraik, poet friend of Robert Burns and subject of three epistles by the bard. The research that followed was not to disappoint! John Lapraik was born at Laigh Dalfram in the parish of Muirkirk, Ayrshire a few miles west of the village. A man of considerable means he later fell on hard times and was all but ruined by the financial crisis of 1772 with the collapse of the Ayr Bank . Six years later he was struggling to pay his creditors, including ‘George Crawford of Brochloch’ (N.B. 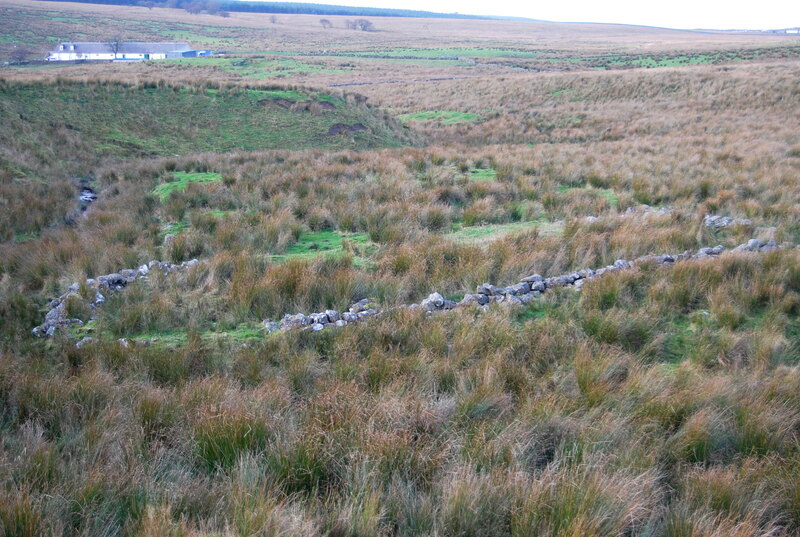 this may be Brochloch, New Cumnock) and three years later was in ruin following the collapse of the Ayr Bank. Lapraik spent some time in debtor’s prison before returning to Muirkirk where he leased the land and mill of Muirsmill, near Nether Wellwood. John Lapraik was also a keen poet and some of his work became known to Robert Burns. 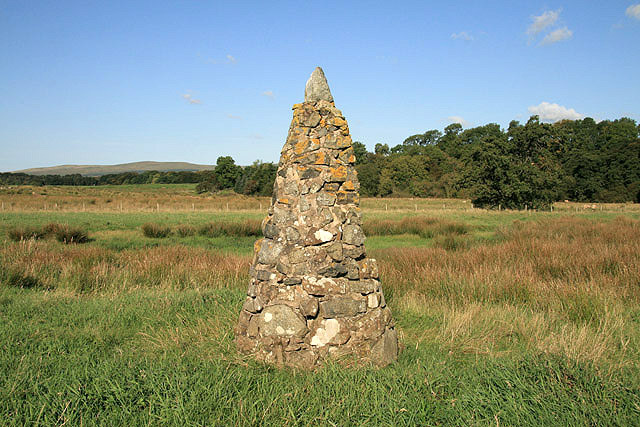 The two poets struck up a friendship, meeting first at Mauchline and the bard then visiting his acquaintance at Muirsmill. Lapraik’s real importance, however, is that his friendship with Burns stimulated the poet to write two of his best verse epistles to Lapraik. The first, dated 1st April 1785, follows the usual pattern of the 18th Century verse epistle form — a scene setting followed by a bouquet of fulsome compliment to the recipient, the main matter of the epistle, then a concluding section celebrating the pleasures of friendship and conviviality. A further two epistles to John Lapraik were penned by Burns, the Second (21st April 1785) and the Third (13th September 1785). John Lapraik married Margaret Rankin of Adambhill, Tarbolton and sadly she died giving birth to their fifth child. A few years later John married Janet Anderson from the nearby farm of Lightshaw and together they had nine of a family. 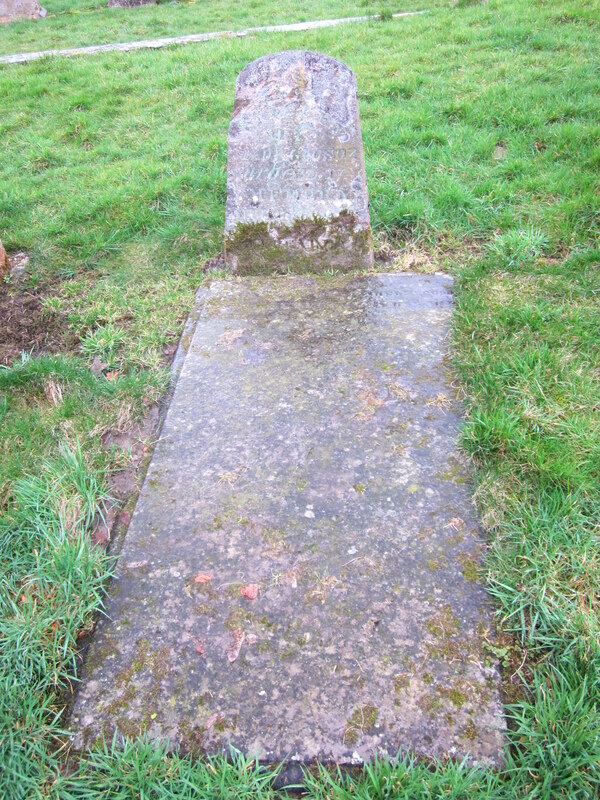 John Lapraik died in 1807, aged 80 years, and lies buried in the kirkyard at Kirkgreen, Muirkirk. Thomas Lapraik was born at Dalfram in 1771 and was the fourth child of John Lapraik and Janet Anderson. He was the shepherd on the farm and married Elizabeth Hood and it is through their daughter Janet that emerges the Lapraik connection to New Cumnock and the Gibson family. 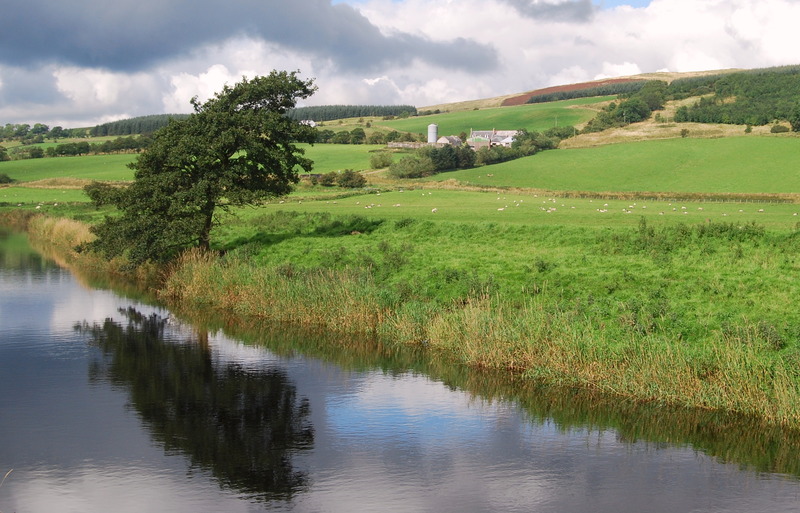 Janet was born on 24th May 1810 at Coltburn, Muirkirk (Colt Burn is a small tributary of the Garpel Burn). In 1841, Janet is working at Polquhirter , New Cumnock at the farm of William McTurk and Margaret Arthur ( sister of the Arthur brothers of Wellhill). Also living at Polquhirter was agricultural labourer David Murdoch . The two marry and together have two children. 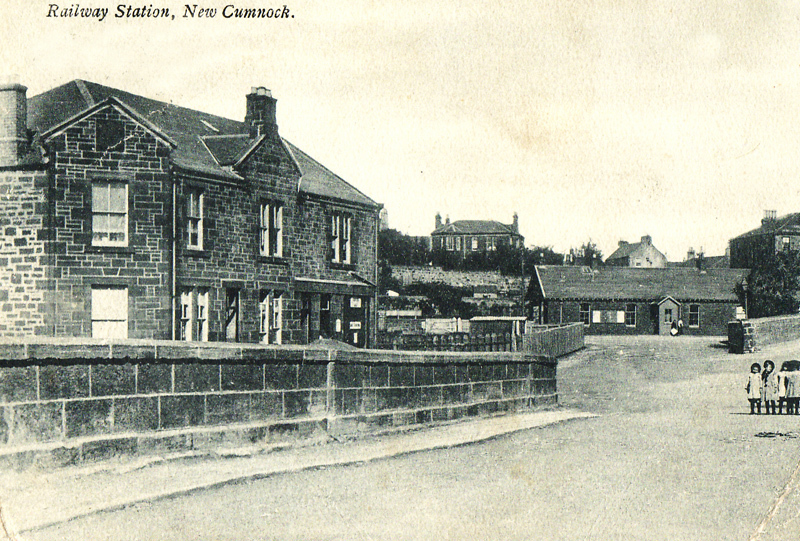 However by 1851, Janet is widowed and living at Liggate, New Cumnock with her son John (5) and daughter Elizabeth (3) and her mother Elizabeth, now in her eighties. 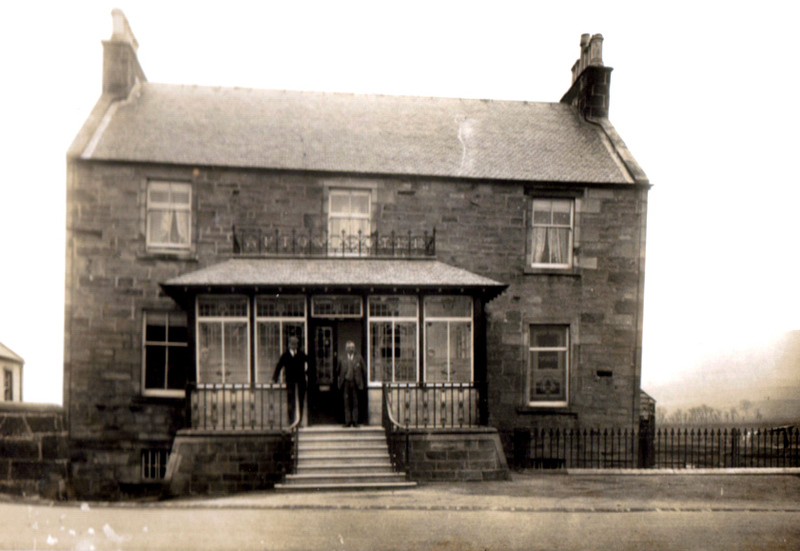 In 1864, Janet Murdoch (nee Lapraik) marries William Kennedy Gibson, a druggist in New Cumnock. William Kennedy Gibson was born in New Cumnock the eldest son of Andrew Gibson , surgeon and Ann Kennedy, probably at Nith Bridgend in the house that later became the Afton Hotel. ( See blog entry Afton Hotel and the Auld Kirkyard). As a young man he worked as an agricultural labourer at Merkland, New Cumnock farmed by Andrew Black, who had previously lived at Mossback near High Polquheys where Andrew and his wife Isabella Wood raised their family of daughters – Elizabeth (1816), Jean Gibson (1819) and Janet Campbell (1820) . The Black family moved to Merkland overlooking the River Nith and here in the 1841 Census Records we find widow Isabella and her daughters Jean , Janet and Christian (1826) and farm labourer 20 year old William Gibson. William married Janet Black (by coincidence their names appear in the same page of the baptismal register of the parish church of New Cumnock, 1820 ) and together they had seven children – Andrew (1841) , Isabella (1843), Peter (1846), Michael (1849), Ann (1850), Ann Kennedy (1851) and Willimina (1854). The family had settled at Pathhead where William earned a living as a general labourer, grocer and later a wood forester. His wife Janet died of tuberculosis in 1859, aged 37 years and was buried in the Auld Kirkyard, New Cumnock presumably alongside her father Andrew Black. Janet’s mother Isabella died 10 years later at the grand old age of 95 years and lies in the Black family lair. A widower of five years William Gibson married Janet Lapraik, the widow of David Murdoch, at the Free Church, New Cumnock on 26th April 1864, but sadly six years later he passed away. There is no record of his burial in the Auld Kirkyard, but he probably lies in the Gibson / Black plot alongside his first wife Janet Black . Gibson lair (erect stone) and Black lair (flat stone) Courtesy of Howard Gibson. Janet Lapraik, now a widow for the second time, and her daughter Elizabeth Murdoch lived at Castle, New Cumnock and worked as dressmakers for many years in the town. Janet died at her home in New Cumnock, aged 90 years, on 27th February 1901 and her daughter Elizabeth passed away four years later, aged 57 years Ayr District Asylum, Ayr. Janet, the grand-daughter of John Lapraik, friend of Robert Burns, is buried in the Auld Kirkyard alongside her first husband David Murdoch and their daughter Elizabeth. Here too lies her mother Elizabeth Hood, who died aged 88 years, and a niece Georgina Lapraik, aged 6 years. 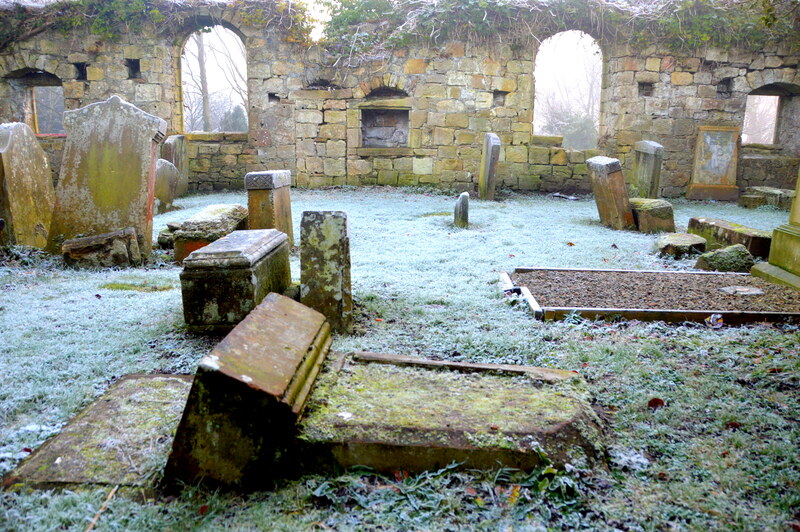 Sadly, the headstone, rests recumbent within the ruins of the Auld Kirk. However, the connection with Robert Burns, does not end there. Andrew Gibson, the eldest son of William Gibson and Janet Black, was 18 years old in 1859 when his mother died. He and a younger brother Peter worked as clerks at the nearby railway station and lived with their grandmother Isabella Black at Pathhead, next door to their widowed father and three sisters. Andrew eventually moved to Glasgow (although it is unclear if he did so before 1864 when his father married Janet Murdoch nee Lapraik) to work as a shipping clerk for G. & J. Burns , pioneers in providing steamer services between Scotland and Ireland, at their Jamaica Street office in the city. He lived in lodgings at Nicholson Street in the Gorbals at the home of Duncan Brown and his wife Margaret and in 1869 he married the daughter of the house Mary Brown. The couple set up home in nearby Langside Road and together the couple had five children Margaret (1871), Jessie (1872), Annie (1875) , William (1876) and Duncan (1879). 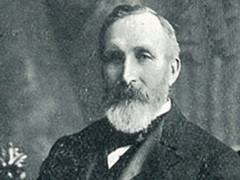 Andrew progressed in the company and in the late 1880’s he moved to Belfast as a steamship agent for the G. & J. Burns . Neal Garnham in ‘Association Football and Society in Pre-partition Ireland’ summed up Gibson’s impact in his new life in Belfast. Andrew Gibson was a great,almost fanatical, collector of the works of Robert Burns as well as those of fellow Scot’s poet Allan Ramsay and the celebrate Irish poet Thomas Moore. 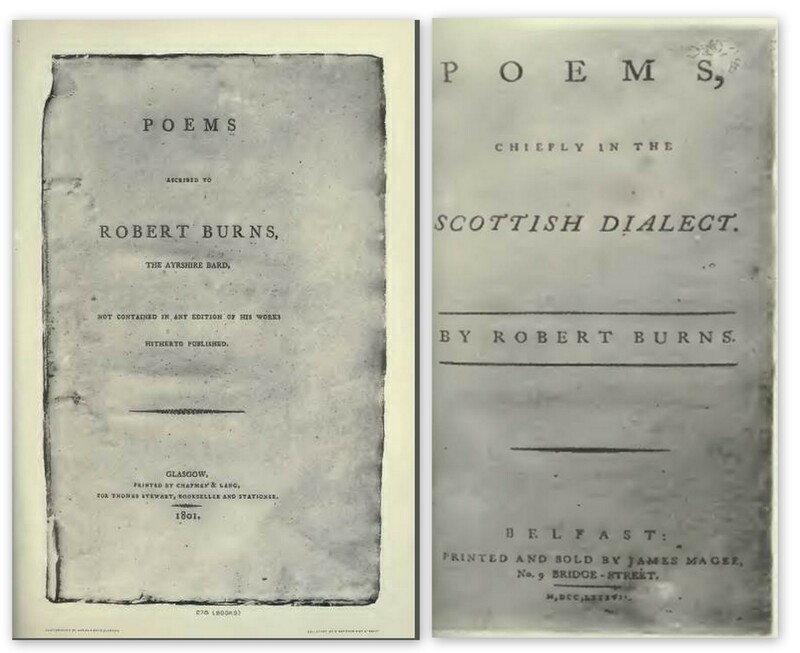 714 Poems, chiefly in the Scottish dialect. By Robert Burns. 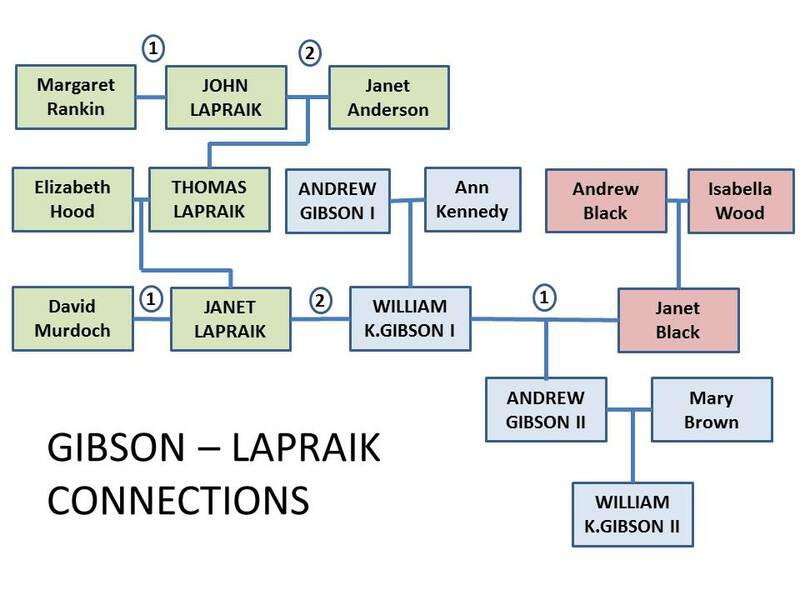 In a remarkable twist of fate on marrying William Kennedy Gibson, Janet Lapraik the grand-daughter of John Lapraik, became step-mother to his seven children from his first marriage to Janet Black, including Andrew Gibson who became renowned for its collections of the works of Robert Burns. This week on Thursday 22nd January 2015, The Inaugural Andrew Gibson Memorial Lecture will be held in the Linen Hall Library, Belfast . Presented in association with the Ulster Scots Agency, John Killen, Librarian, Linen Hall Library. Andrew Gibson , born New Cumnock, Ayrshire. Andrew Gibson’s eldest son William Kennedy Gibson born in Glasgow on 1st October 1876 made a name for himself on the football fields of Ireland and beyond. He features prominently in the excellent Northern Ireland Footballing Greats (NIFG) blog. Please check it out here . As a schoolboy he played made his debut in 1892/93 season with local side Cliftonville, where his father was the club President for a period. He made his international debut for Ireland the following season in a British Championship match while still a 17 year old. Willie scored a later equaliser in a 2-2 draw against England, the first time Ireland had avoided defeat against the English side – and became only one of three players to score for Ireland before their 18th birthday. In February 1898, ‘Willie’ was honoured by captaining Ireland in the match against Wales at Llandudno and to add to the sense of occasion a 1-0 victory gave the Irish a first win on ‘foreign’ soil. He went on to make 14 caps for his country. While playing for Cliftonville (1892/93-1901/02) he scored 35 goals and won two Irish Cup Winners medals (1987, 1901) and the Country Antrim Shield (1898). Willie Gibson also made one appearance for Sunderland in a 3-0 league win over Bury at Roker Park, Jimmy Millar from Annbank scoring a hat-trick. Sunderland were crowned English Champions, leading to some contemporary sources claiming William Kennedy Gibson as Ireland’s first English title winner. There were seven other Scots in the Sunderland side that day. Missing however, was winger Colin McLatchie, who had made 25 league appearances for the Roker Park side and born in the miners rows of the parish of New Cumnock, birthplace of Andrew Gibson the great collector of the work of Burns . In a neat closing touch, in 1973, the son of Colin McLatchie, another Colin, was in the President of the New Cumnock Burns Club! Northern Ireland Footballing Greats (NIFG) blog . This entry was posted in Headstones, New Cumnock and tagged Andrew Gibson, Janet Lapraik, John Lapraik, New Cumnock, Robert Burns, William Kennedy Gibson. Bookmark the permalink. Most interesting. I have ancestors from that area also.